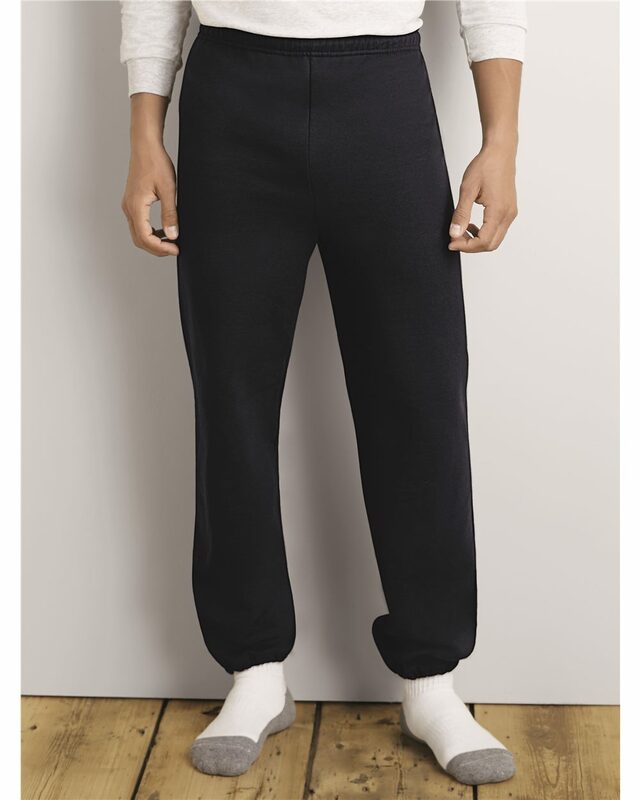 Gildan Heavyweight Blend Sweatpants (18200) 8.0 oz., pre-shrunk 50/50 cotton/polyester. Reduced pilling and softer air-jet spun yarn. Covered elastic waistband with drawcord (adult style only). Elastic cuffs. Satin label. No side seam. Elasticized cuffs. Double needle bottom hems.